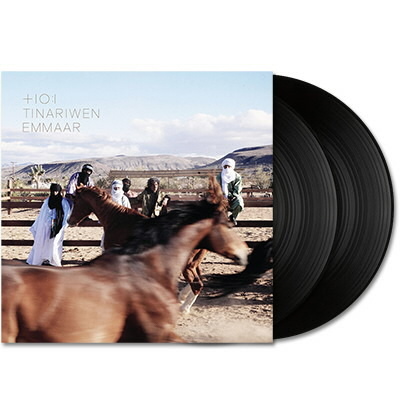 Tinariwen, o mítico grupo de guitarristas/poetas e rebeldes tuaregues volta em fevereiro com um novo disco: Emmaar. Descobrem já aqui faixas do novo álbum. Show!!!! The desert is a place of hardship and subtle beauty, a stark world that reveals its secrets slowly and carefully. For the renowned Saharan band Tinariwen, the desert is their home, their hypnotic and electrifying guitar rock reflecting the complex realities of their homebase in North West Africa. The band is set to release their new album Emmaar on February 11th. Emmaar is the follow up to the group’s 2011 album Tassili, recorded in the Algerian desert with an esteemed cadre of musicians including Wilco’s Nels Cline and TV on the Radio’s Tunde Adebimpe and Kyp Malone – the album won a Grammy for Best World Music.